A single match of Dragon Ball FighterZ lasts for just a few minutes, but it packs an entire Dragon Ball Z story arc’s worth of over-the-top action into that time. Brutal combos take unlucky combatants zig-zagging across the screen and careening into the dirt. Fireballs and lasers fly like mad, exploding as they collide or tearing through the rapidly crumbling background. The camera swoops giddily from its static side-on view to dramatic close-ups of warriors about to unleash ultimate techniques. Beefy dudes scream out the nonsense names of impossible moves and teleport around their opponents in the blink of an eye. It looks incredible, and also like it should be completely indecipherable to anyone who isn’t a fighting-game wizard. But just as remarkable as the frenetic, melodramatic battles themselves is how straightforward all that spectacle is to put together and how damn good it feels to pull off. 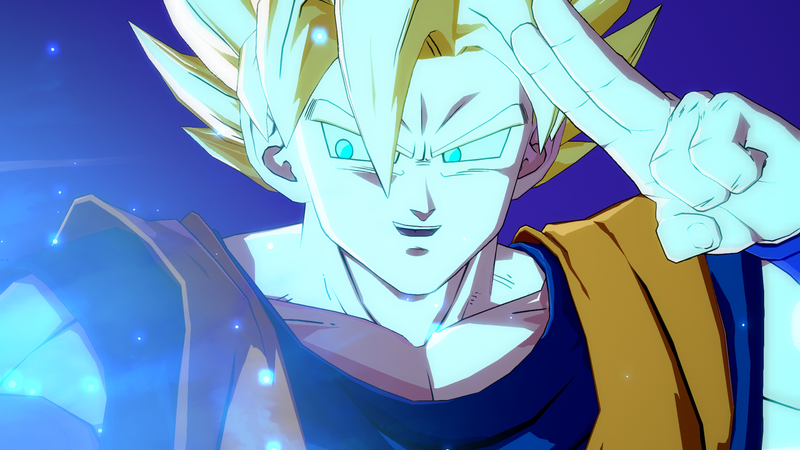 The veteran fighting-game developers at Arc System Works did a fantastic job of boiling down Dragon Ball Z’s super-powered martial arts to a handful of fundamental parts: dashing through the air; teleporting behind opponents; the occasional flurry of lightning-fast punches; and hand-thrown fireballs, both big and small. Each piece is easy to pull off and understand—everything is done with the push of one or two buttons and a very generous interpretation of Street Fighter’s Hadouken motion—and when you get going, they all fit together the way you think they would. That, and the visual spectacle of it all, makes FighterZ a compelling canvas for improvisation, for always trying to push your wild combos one step further with an extra teleport or an assist from a tag-team partner waiting in the wings or one last-ditch super move to cap it off. The reward for doing so isn’t just a little extra damage done, but also the satisfaction of seeing your creativity actually work onscreen. All that flexibility can be intimidating at first, but the game does its best to ease players in with some fighting-game training wheels. Like last year’s Marvel Vs. Capcom Infinite and previous Arc System Works games, FighterZ offers automatic combos that’ll let even the least savvy of players do some flashy stuff just by jamming on a single button. 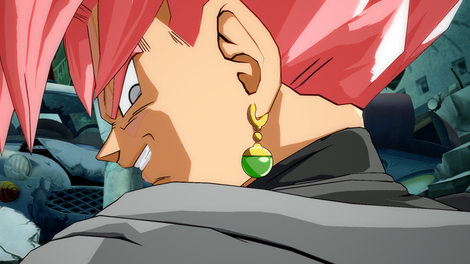 FighterZ even goes one step further and gives you access to two different single-button chains. Both look impressive, but neither is going to give you the crazy damage output you’d get from crafting a combo yourself. There’s a bit of genius, though, in giving you access to both and letting you switch between the two mid-combo, something any curious player might start to do naturally after they’ve mashed through enough automatic strings. It gives a glimpse of the possibilities lying in the deep end without completely yanking you out of your comfort zone. And it’s indicative of the game’s really gentle learning process, which is helped by the fact that as you gradually wade into its more complex systems, those auto-combos are always waiting to lend you a hand. Of course, jumping right in to online multiplayer is a guaranteed way to get in over your head, but FighterZ packs a solid amount of single-player modes to either help you work your way into competition or hold your attention until you’re happy to put the game down. Its arcade mode is your standard ladder of matches against computerized opponents, the one clever twist being that your performance actually determines the difficulty of later fights. There’s also a shockingly long story mode that layers some light role-playing-game concepts on top of its seemingly endless skirmishes with dead-eyed clones. The story scenes are full of character interactions that are fun for Dragon Ball fans, but they’re surprisingly static and sedate, especially compared to the more movie-like modes in games like Injustice 2, and I soon found myself skipping through their reams of dialogue. Plus, the computer-controlled opponents it pits you against are practically braindead for the first several hours and very slowly get stronger. It’s too boring for someone who wants to throw off those training wheels and dive deep, but it’s yet another way the game welcomes inexperienced players and helps to gradually push them toward bigger and better things. Unfortunately, the biggest thing—online competition—is where FighterZ is at its worst. Instead of a plain old menu where you flick through some options and pick what mode you want to play in, Arc System Works used a cute but cumbersome lobby system where players are shoved into a little world with a 64-person cap and a few points of interest that represent the different modes. This worked fine when it debuted in Guilty Gear Xrd, Arc’s last game, but that’s still a relatively niche series with a much smaller player base. FighterZ has reportedly sold two million copies already, and with that many people trying to play, having such harsh caps on these rooms can cause a headache. Even when you do find a lobby with space, there’s no guarantee you’ll be able to quickly find matches or even be connected to the servers for very long. At best, I managed to get five or six games in before an error booted me back to the home screen. Worse, I’ve had the game flat-out crash on me at least a half dozen times while playing on an Xbox One X. And forget about trying to play online with friends. Unlike, say, every other game released in the last decade, you can’t send invitations to players and instantly bring them into your game. You have to be communicating with them through some other method and actively coordinate so you both end up in the same lobby and one of you can create a sub-lobby for the other person or persons to join. It feels less like an actual feature in the game and more like you’re taking advantage of a loophole to get access to something that should’ve been readily available. It’s beyond archaic, and a serious problem with an otherwise amazing game. The crashing, the connectivity errors, even the baffling approach to fighting friends—these are all issues that can be fixed over time. Given its success and the buzz it’s generating in both the competitive and casual worlds, one has to hope Bandai Namco is committed to polishing up those extremely rough edges. FighterZ deserves it. Despite being the product of some obvious pre-existing parts—Dragon Ball’s anime flair, Marvel Vs. Capcom’s frantic tag-team melees, and the skeleton of previous Arc System Works games—it comes together into what’s easily the best Dragon Ball game made in the series’ 32 years of existence and a great fighting game that’s as thrilling to watch as it is to play.